Despite weakening and taking a track south of the Big Island, Major Hurricane Lane will still stir dangerous seas across the Hawaiian Islands this week. After peaking at Category 4 strength earlier this weekend, Lane is expected to gradually weaken as it tracks westward through the central Pacific Ocean. Lane is following in the footsteps of Major Hurricane Hector from earlier this month. It is on a path that will take it south of Hawaii's Big Island at midweek. Lane may be a Category 1 hurricane when its center tracks about 250 miles south of the Big Island's southernmost point. Subtropical Storm Alberto is pictured nearing the Florida Panhandle in this May 27, 2018 NASA handout photo. NASA/Handout via REUTERS ATTENTION EDITORS - THIS IMAGE WAS PROVIDED BY A THIRD PARTY. Tropical Storm Gordon is pictured nearing Florida, U.S. in this September 3, 2018 NASA satellite handout photo. NASA/Handout via REUTERS ATTENTION EDITORS - THIS IMAGE WAS PROVIDED BY A THIRD PARTY. Tropical Storm Gordon is pictured nearing Florida, U.S. in this September 2, 2018 NASA satellite handout photo. NASA/Handout via REUTERS ATTENTION EDITORS - THIS IMAGE WAS PROVIDED BY A THIRD PARTY. Boaters and swimmers are being put on alert that Lane will not pass the Hawaiian Islands unnoticed. "Even though Lane will weaken and track to the south of the Big Island, it will generate rough surf and rip currents along the south- and east-facing shores of Hawaii," according to AccuWeather Meteorologist Steve Travis. Seas will gradually build across the islands Monday into Tuesday as large swells spread westward and northward away from Lane. Conditions will become even more dangerous Wednesday into at least Thursday as Lane makes its closest approach. The ocean will become too hazardous for swimmers and boarders to enter. All advisories or beach closures issued by authorities and lifeguards should be heeded. 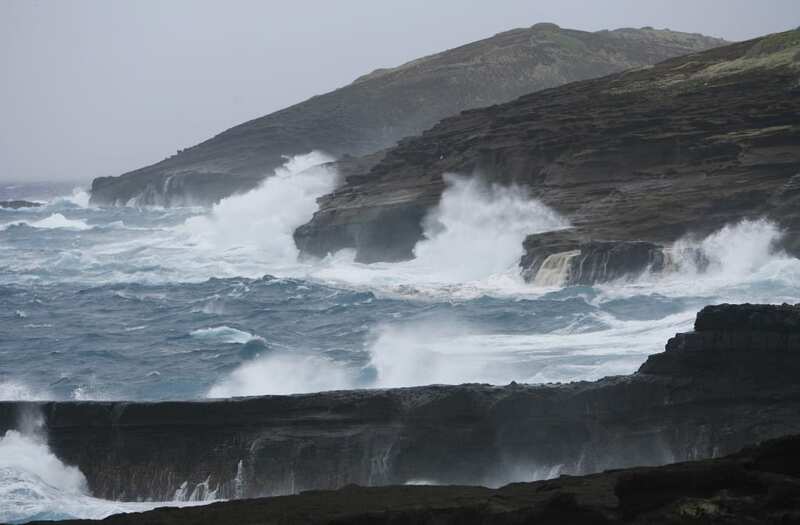 "It can become dangerous for ocean vessels south of the islands as well as small craft attempting to navigate the inter-island channels this week," according to AccuWeather Senior Meteorologist Alex Sosnowski. In addition to the sea hazards, Lane may pass close enough to increase gusty winds and showers across the island chain during the middle to latter half of the week. More showers may dampen the northwestern islands of Oahu and Kauai late this week than when Hector made its closest approach. While Hector maintained a straight westward heading, Lane may curve more to the northwest. "Although Lane is expected to remain south of Hawaii this week, there is a slight chance it slows down toward the end of the week and turns north toward the islands," Travis said. A portion of the islands could face heavier rain, a risk for flooding and strong winds if this solution pans out. Coastal dangers would further mount. However, Travis stressed that this is an outlying scenario and latest indications are that the worst of Lane will remain south of Hawaii. "Additional threats from tropical storms and hurricanes are likely into the autumn, due to a developing El Niño," Sosnowski said. Because El Niño is a plume of warmer-than-average waters over the tropical Pacific Ocean, the warm water just south of Hawaii can sustain more hurricanes than average over the eastern and central Pacific and cause them to be stronger in nature.